When travelling to Finland, Helsinki is often on people’s list of places to visit, whether that be for a short stopover en route elsewhere or for a longer city break. Helsinki is a vibrant and interesting city offering a wide range of activities depending on how much time you have to spare and your budget. Jayne from the Nature Travels team gives her top tips for things to do. 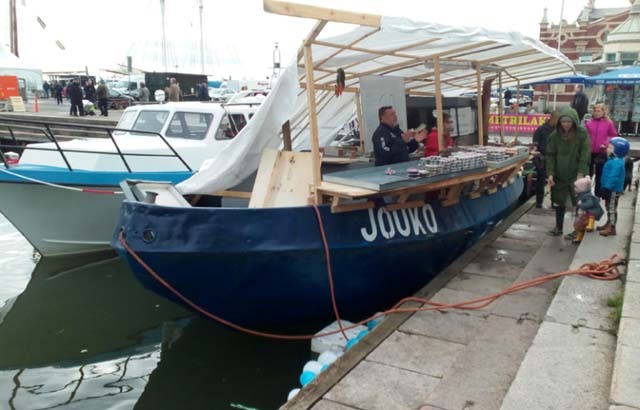 On the south harbour you will find Helsinki’s largest market. Running every day, there are many stalls offering all manor of things from the usual fruits and veg to more touristy items such as Sami-style mugs etc. 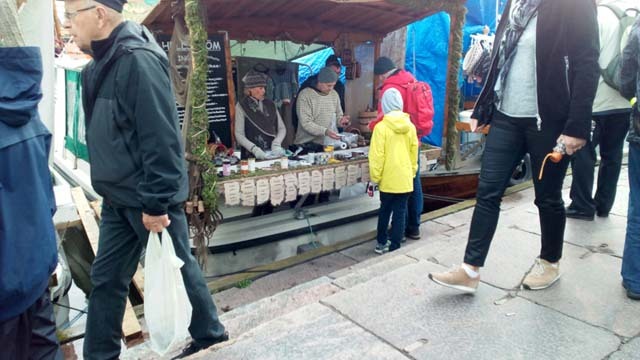 If you are travelling to Helsinki in October, you may also see the Herring Market, boats come right in to the harbour and sell their fresh catches of fish and other food items directly out of the back of the boats. This is a tradition which has been going on since 1743. Herring market. Photo: Nature Travels. 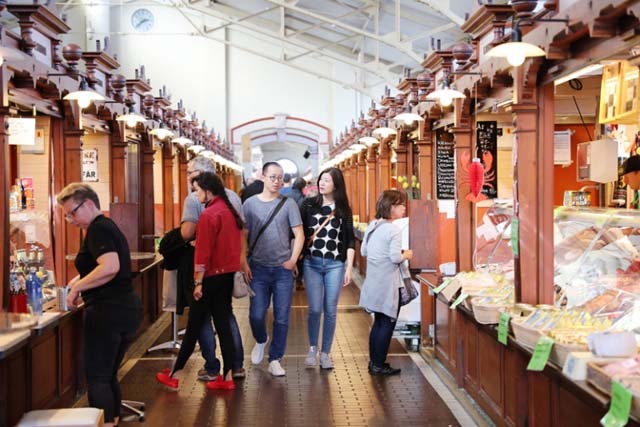 A short walk from the market square you will find Helsinki’s Old Market Hall, a beautiful old building dating from 1889 which houses a wide range of covered stalls and cafés. The building is easily spotted by its red and white exterior. Inside the floors are paved with tiles and each stall has its own wooden panelled front. Old Market Hall. Photo: Harri Tarvainen. The Senate Square, with the cathedral, Government Palace and university of Helsinki buildings surrounding it, is one of the oldest parts of the city. The square was built when Finland was under the rule of Russia and it was from the square that the Grand Duchy of Finland was to be ruled. 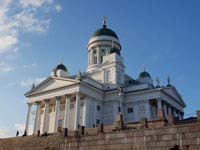 It was also under the Russia Rule that Helsinki became the capital of Finland (previously under Sweden’s rule, the administrative centre of Finland had been Turku). 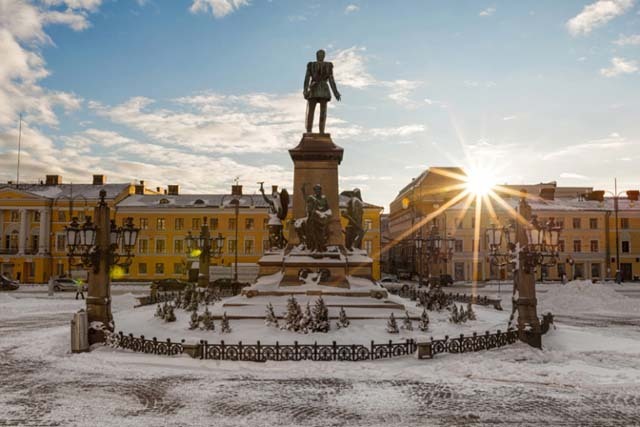 The Cathedral and the statue of Emperor Alexander II are perhaps some of the most well-known landmarks in the city. Nowadays concerts and art exhibitions are held in the square throughout the year and in winter there is a Christmas market held there. Senate Square. Photo: Pete Heck. It is said that there are enough saunas in Finland that everyone living there could all have a sauna at once! Therefore a visit to Finland would not be complete without a visiting a sauna to experience what is very much a part of the Finnish culture. 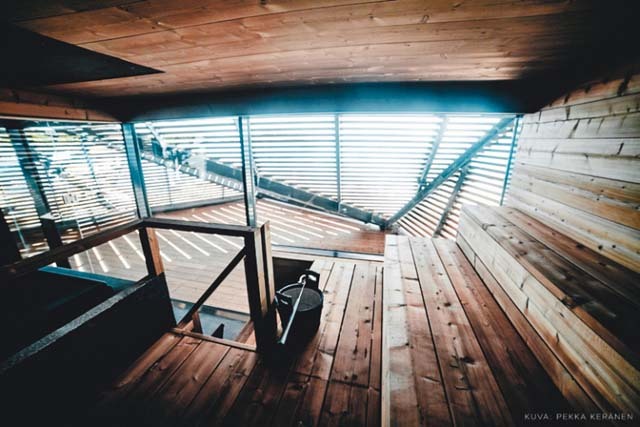 Helsinki offers many public saunas, including the Löyly sauna right on the waterfront and, for those of you who are interested in a more unusual experience, the SkySauna, which operates on the SkyWheel. Public saunas may have separate saunas for men and women or can be open to everyone. Public sauna. Photo: Visit Finland. 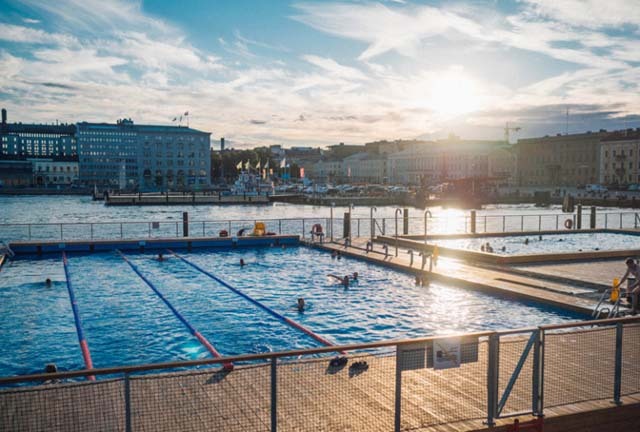 The Allas sea pool spa offers three pools on a floating deck right in Helsinki’s harbour, making it feel as if you are swimming at sea level. Two of the pools are heated, the third contains filtered sea water which is kept at the same temperature as the surrounding sea water, even in the winter!! For those of you who are brave enough to take a plunge in winter there are saunas at the pool to warm you up afterwards! Allas Sea Pool. Photo: Julia Kivela Visit Finland. For those of you with a sweet tooth, the Fazer chocolate Cafe & shop is a must visit. 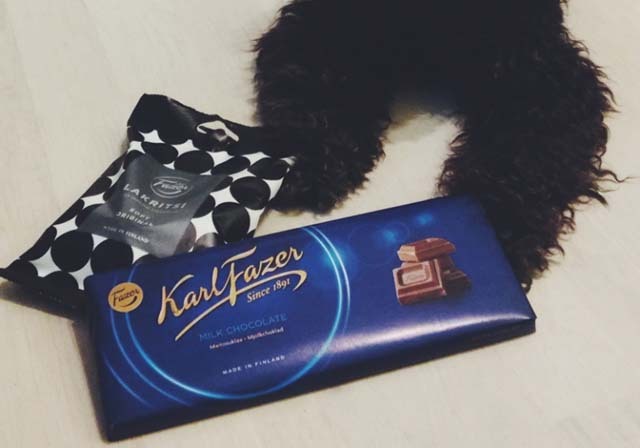 Karl Fazer is perhaps Finland’s most famous confectioner and his chocolate in its blue wrapper is the most iconic of his products. The cafe and shop is located in central Helsinki and is often quite busy (you may have to wait for a table but you can also just go in an look at all the chocolate!). It is a great place to go to people watch whilst having a cup of coffee. Finnish chocolate and licquorice. Photo: Visit Finland. Nature Travels offers e-biking, self-guided kayaking & guided kayaking experiences in and around Helsinki. For many of our other Finnish experiences Helsinki makes an ideal stop off en route.